Dengue is a potentially fatal, viral disease which gets transmitted via female mosquitos. Its symptoms include fatigue, nausea, fever and skin rashes. Over the years Pakistan has come under dengue attack with varying intensity. However, latest news reports have suggested that it is on the rise again in Pakistan. Though the government has made serious efforts to fight against this disease, yet traces of the dengue larvae are found across various parts of the country. A “red alert” was issued in February because of the high number of larvae being found. The larvae have been found in many areas near Rawalpindi. 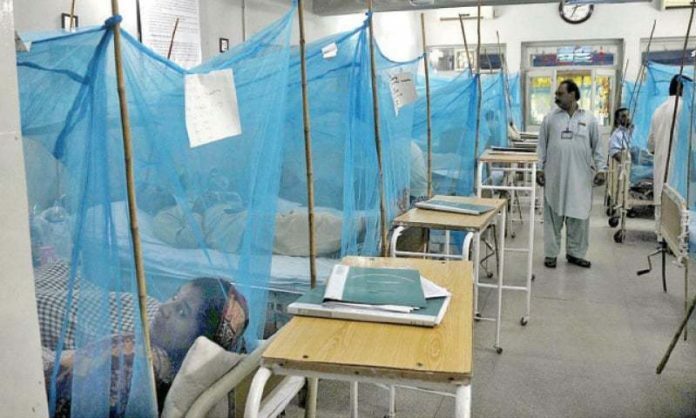 The health ministry has notified the heads of the government schools in Punjab to take prompt action to curb the spread of dengue mosquitoes. Directions have been given to the deputy commissioners and the heads of the schools. The secretary of education has instructed the schools to ensure cleanliness and destroy all the larvae present. Furthermore, schools have been instructed to prevent water stagnation and spraying is mandatory. The schools are also required to send photos to the Ministry of education via WhatsApp. It is also stated that any negligence in this matter will be followed by a strict action. While the government’s prompt actions should be commended, there’s a lot more that can be done to stop the disease from spreading.